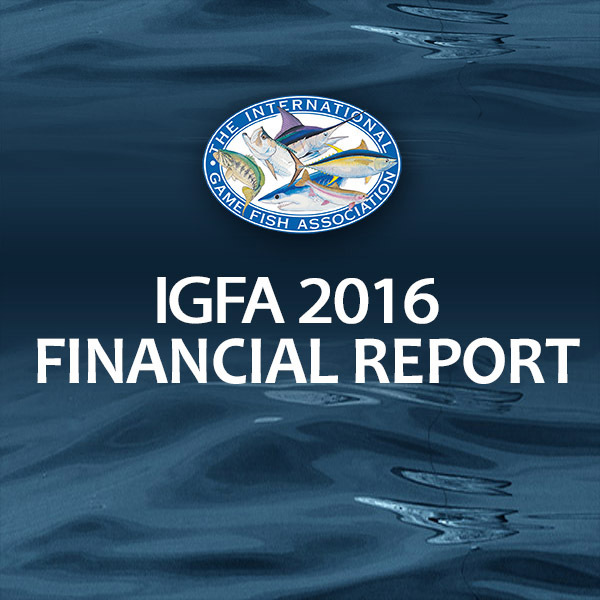 The IGFA is committed to promoting the enjoyment, appreciation and effective conservation of fish, the sport of fishing, and aquatic habitats. Click the images below to download the financial reports for each year. We invite you or your company representative to contact IGFA Development Director Eric Combast for more information at 954-924-4325 or [email protected].